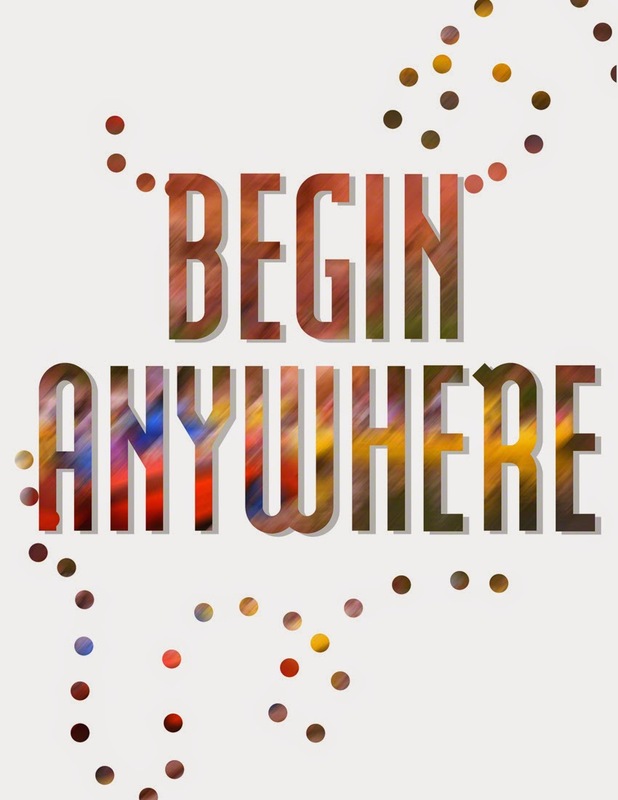 My email signature on one account says “Begin Anywhere”. And so I begin...again. In an attempt to push myself out of rut and do the things that bring me some joy. What posts/projects have you bookmarked or pinned lately? Have you added anything to your covet list? I *love* a good printable! (especially when it’s free) So, “don’t be lazy” ;) head on over to The Crafted Life and grab one (or both). I’ve been wanting to try a marbling project and this one over at Oh Joy! is at the top of the list. I especially like the idea of keeping my plants out of reach from curious paws. It says the Hoop Shelf project would only take an hour but I’m not 100% that would apply to me, but I would love to give it a go. These DIY Quilting Kits are amazing! I think I’d like to use the idea as a jumping off point and take it in a slightly different direction. Time to get my sewing machine a little tune up! Have you seen the work of Iris Grace? Amazing. I now have a number of her prints on my wish list. So beautiful! And how adorable is her therapy cat. I just want to hug them both! I lost my little point and shoot camera a couple of years ago and haven’t replaced it. I’ve solely relied on my trusty iPhone. But I think I’m ready for a “real” camera again. This post on Apartment Therapy got me thinking. Any camera recommendations? Another item on my wish list is a craft cutting machine. I thought the Silhouette was the way to go but have you seen the new Cricut? Dilemma. IKEA’s new Papershop has the cutest stuff! I’m a little sad Canada doesn’t have them yet. The pics in Poppytalk's post were making me ooooh and ahhh! My girl turns 3 today. I never had a pet growing up even though I desperately wanted one. My parents felt a dog would be too much work given everyone's busy schedules. My mom was allergic to cats. It wasn't until I was in my very first apartment without a roommate or boyfriend that I seriously considered adopting one. Then one day, while on a break a work, I came across a picture of this tiny fuzzy creature standing on a pink blanket. I knew she was meant to live with me. She was the smallest and most timid of the litter. So in thinking of names for her, I chose the smallest orphan in "Annie" as inspiration. I named her Molly. 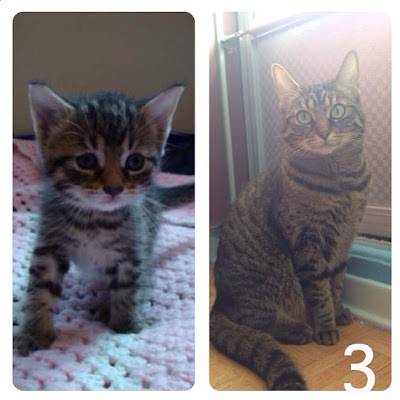 She was oh-so little when I bought her home. Timid though? That trait disappeared the second she was away from her brothers and sisters. She's been running, jumping, playing and getting into mischief ever since. As bratty as she can be, she makes me laugh daily. I wouldn't trade my fuzzy girl for anything. LOVE the chick in the background! Welcome to "...with one L"! what's n e x t ? This is a Flickr badge showing items in a set called Color Week - April 28, 2008 - May 2, 2008. Make your own badge here.